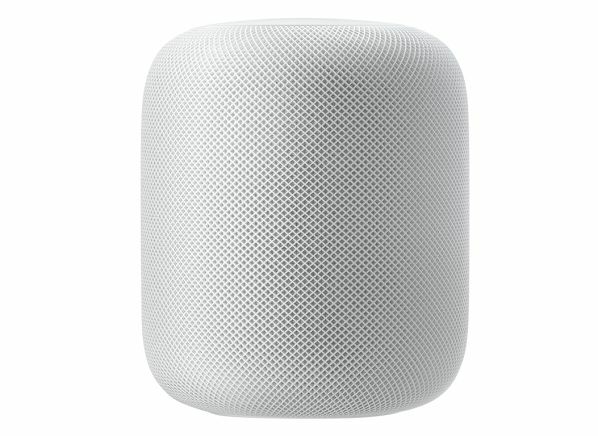 If you own an Apple HomePod smart speaker, you probably use it to play music, make grocery lists, or listen to the news. But the HomePod can also function as the hub of a smart home with Apple's smart home platform, called HomeKit. For example, you could say, “Hey Siri, set the thermostat to 74 degrees,” and your HomePod will change the thermostat setting without you ever having to touch the device. But the setup process for enabling simple, fluid voice control isn’t always as clear and straightforward as it's billed. CR is here to help. Below, we walk you through the setup process for connecting smart home devices to your Apple HomePod. We also explain how to organize your devices into rooms/groups and automate your devices to make them more useful. To connect smart home devices to Apple HomeKit, and subsequently Siri, you’ll need an iPhone or iPad. Both devices come with the Apple Home app pre-installed. You'll use that to set up and control your smart home devices on the HomeKit platform. You'll also want a HomeKit hub, which allows you to remotely control connected devices and run automations when your iPhone or iPad isn't present. To serve as the hub, you can use an Apple TV, an iPad, or a HomePod that you leave—powered on and connected to the internet—in your home. If you know the device works with HomeKit but can’t find its code, it might connect to your iOS device wirelessly if held close to it (it will feature a radio-wave symbol to denote that connection method). If all else fails, reach out to the manufacturer for assistance. To add your device to HomeKit, follow the steps below. Step 2: Scan the HomeKit code with your iOS device’s camera or put your iOS device near the accessory for the wireless method. Step 3: Once added, name the device and assign it to a room in your house. For example, if you’re setting up a smart thermostat, you might call it Bedroom Thermostat and assign it to the bedroom. After that, your device will be set up and ready to control with Siri. To make your smart home devices truly smart, it helps to program them so that they perform useful or practical actions for you. You can set them up to do so based on day/time, specific voice commands, and sensors. Apple HomeKit lets you program your devices in two different ways. The options are “Scenes” and “Automations,” and having two approaches can be confusing because they essentially allow you to do the same thing. The difference is that you activate scenes through Siri, but you don't do anything to activate automations. Automations let you set-it-and-forget-it, based on triggers or rules you establish through the Home app. If you keep this distinction in mind, it will be much easier to know when to create a scene instead of an automation and vice versa. Scenes let you group device changes under one name, such as Good Morning or I’m Home. You can create a scene named Goodnight, for example, so when you say “Hey Siri, goodnight,” your lights turn off, your front door locks, and your thermostat turns down for the night. Step 2: Enter a custom scene name or choose a suggested scene. Keep in mind that the name of the scene will be the phrase you say to Siri to trigger it. You can also choose a custom icon for the scene (to the left of the name field). If you choose a suggested scene, just know that it already has devices and settings selected in it (for example, a suggested scene called “Good Morning” will already include your smart lights and thermostat). Step 3: Tap “Add Accessories” and add the devices you want to include in the scene. Step 5: When you’re finished, tap the Done button at the top-right and your scene will be ready to use with Siri. “Automations” can trigger your scenes and/or make changes to your devices in response to certain conditions or triggers. Available triggers include: People Arrive, People Leave, A Time of Day Occurs, An Accessory is Controlled, and A Sensor Detects Something. For example, instead of telling Siri “I’m Home” to trigger that scene, you can create an automation based on your smartphone’s location to trigger that scene. Step 1: Tap the Automation button at the bottom-left of the Home app; then tap the “+” button at the top-right of the screen. Step 2: Choose a trigger and tweak its settings to your preferences. For example, when you select the People Arrive trigger, you can choose between anyone arriving or only the first person in your home arriving, as well as the time of day. When finished, tap the Next button. Step 3: Select the devices and/or scenes you want to trigger and tap Next. Step 4: Tweak the devices’ settings and test the automation. When you’re finished, tap the Done button at the top-right, and your automation will be ready to go.